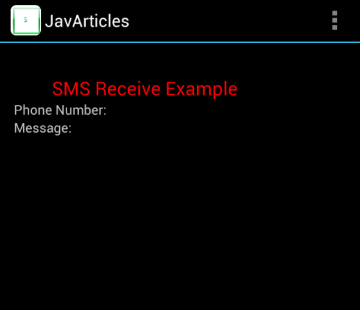 In the last article, I showed you how to send SMS in android. 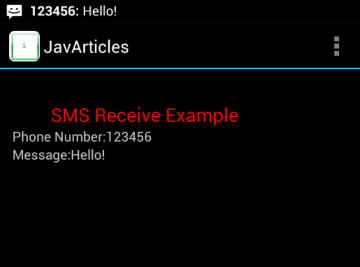 In this article, we will see how to receive SMS messages. We can add the interested phone numbers in the settings. We will start with the permissions required. We only need receive permission android.permission.RECEIVE_SMS. In case you also want to read SMS messages from the Inbox then you need android.permission.READ_SMS. We also need to tell Android that we want to handle incoming SMS messages. In order to do this, we will add a <receiver> to register a broadcast receiver to the manifest XML. We will also add an <intent-filter> to let Android know that we want to launch a specific class when an SMS comes in. SMSReceiver is a BroadcastReceiver. When SMS is received, onReceive will be called. Here we will look into the interested numbers based on a setting. If the message has originated from one of those numbers, we will launch a new Activity, and pass the phone number and the SMS message to the activity. In the main activity, we will get the SMS data from the intent and set the text fields. Layout will have couple of text fields, one for phone number and the other for the message. Let’s have a look at the android manifest XML. Set the interested phone numbers in the settings. If more than one, enter them comma separated. 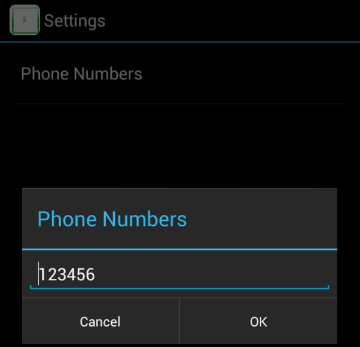 Open ‘Emulator Control’ to send spoof SMS. 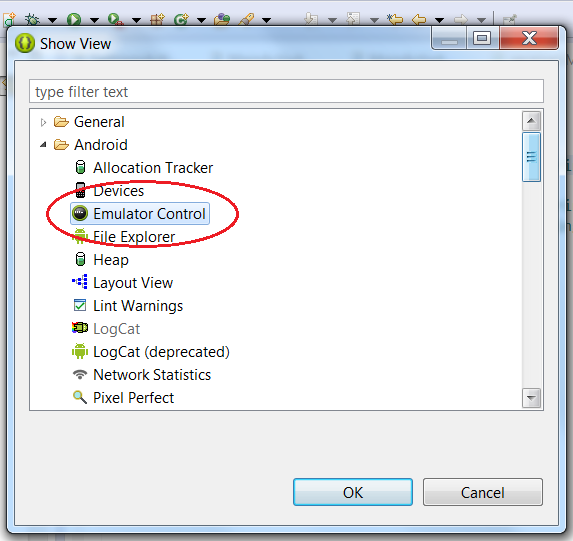 To open the ‘Emulator Control’, Go to Windows->others->Android->’Emulator Control’.